Xcelsius Fix Pack 3.2 Released and ready for download! 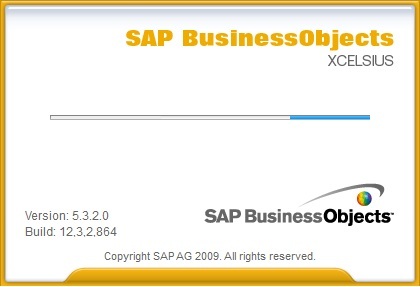 Xcelsius Enterprise 2008 Fix Pack 3.2 for Engage and Enterprise versions. Once installed, the version number should change from 5.3.1.0 (5.3.0.0 if SP3) to 5.3.2.0. What’s fixed and Release documents are now available for download. We have just installed it and will be testing during the next few days. We will try our best to give you our first impressions in the subsequent posts. Subscribe now and you will never miss it. Xcelsius Fix Pack 3.1 is ready for download! Xcelsius 2008 SP1 Hot Fix is here! Xcelsius SP1 Fix Pack 2 is Out! Posted in: Fix Packs, Service Packs. ← Get SAP Crystal Presentation Design for Free! Sorry, but on this side no 3.2 download for Xcelsius Present to been seen. Can you provide a direct link? Did you know anything about the working of embedded swf files in powerpoint in combination with Adobe Flash 10.1? As far as I know the ppt didn’t work anymore. They worked fine in adobe flash 10.0. I hoped a new hotfix could solve this problem. Canvas Container is which was introduced in SP3 is now no longer available in FP 3.2. Well, I do see it in my list of components after the upgrade. Long time Xcelsius user but hadn’t tried in past 18 months. 1. Tried to install but error said my Office 2010 was Live version. 2. Installed Desktop Office 2010 – error said I need 2007. 3. I tried the web work around – registry edits, etc… caved in got 2007.
fails to unzip with error near end “CRC failed in package\langs\it\CrystalReports…msp Unexpected end of archive. 6. Try to contact SAP support – have you seen how many websites they have – the store, the product, the support – all different user logons?? Certainly no help. 7. I have spent about 6 hours on this now – there is a point you thrown in the towel.